A fox during the lunch. The restaurant has a perfect view. And there might always something happening. That is why I always bring a camera. Today the fox is appearing from under the restaurant and gives a perfect show. 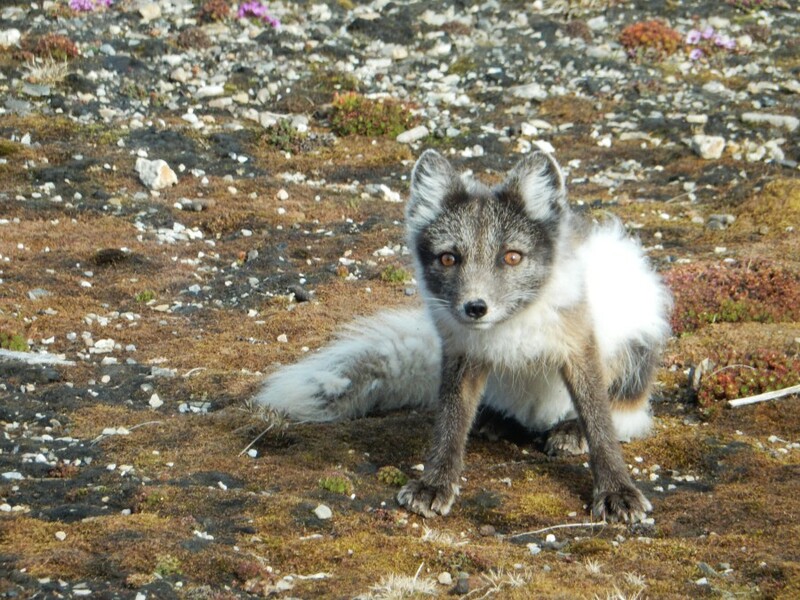 There are at least 3 foxes in town and arctic tern nests are predated within days after laying. This page has been given the following keywords: [arctic fox] You can click on each keyword to get an overview about related pages.